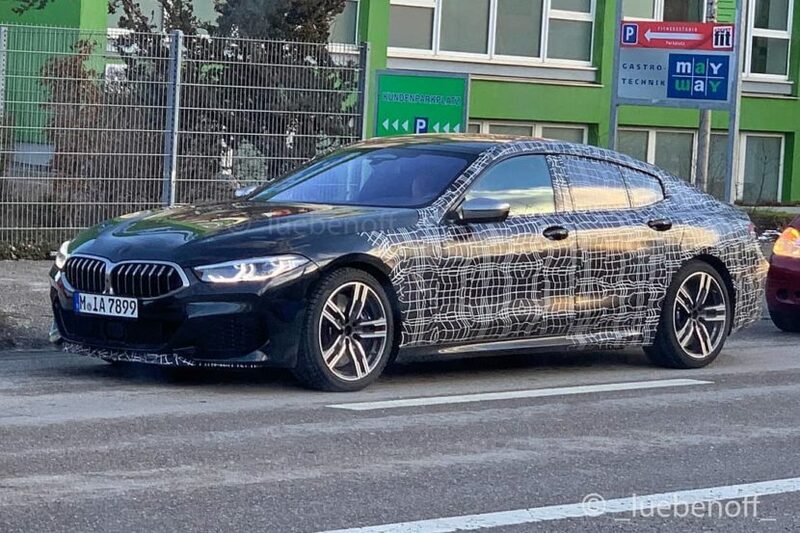 BMW’s third member of the 8 Series family – the Gran Coupe – will join the pack in 2019. Along with the 8 Series Coupe and Convertible, the 8 Series Gran Coupe will offer customers luxury and sportiness in an attractive package. 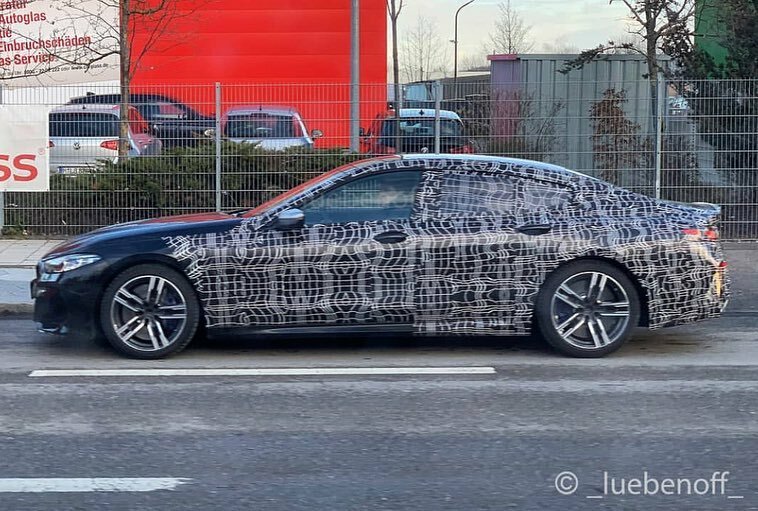 In these new spy photos, we see the same familiar 8 Series face, just on a longer, four-door body. The front-end is fully unveiled so no surprises there since it follows the same design language of the 8 Series. It also gets a traditional Hofmeister Kink, rather than the odd one on the new 3 Series, and it has a smoothly sweeping roofline, which not only looks good but seems like it will give rear occupants some nice headroom. Out back there’s a subtle decklid spoiler that gives it a sportier look and the typical trapezoidal exhausts. While the 6 Series Gran Coupe was, and still is, a stunning car, this new 8 Series Gran Coupe seems like it could be even better looking. It’s smoother, longer, meaner and more muscular looking. Its rear hips seems wider and its front end seems more aggressive. The car in question is the the M850i variant, as evidenced by its sportier wheels, M Sport Brakes and brushed aluminum-look mirror caps. The BMW M850i Gran Coupe will be the top model of the 8 Series family, powered by a 530 hp 4.4-liter twin-turbo V8, which, in the Coupe, is capable of delivering a 0-62mph sprint time of 3.7 seconds; that figure is likely to increase in the Gran Coupe. 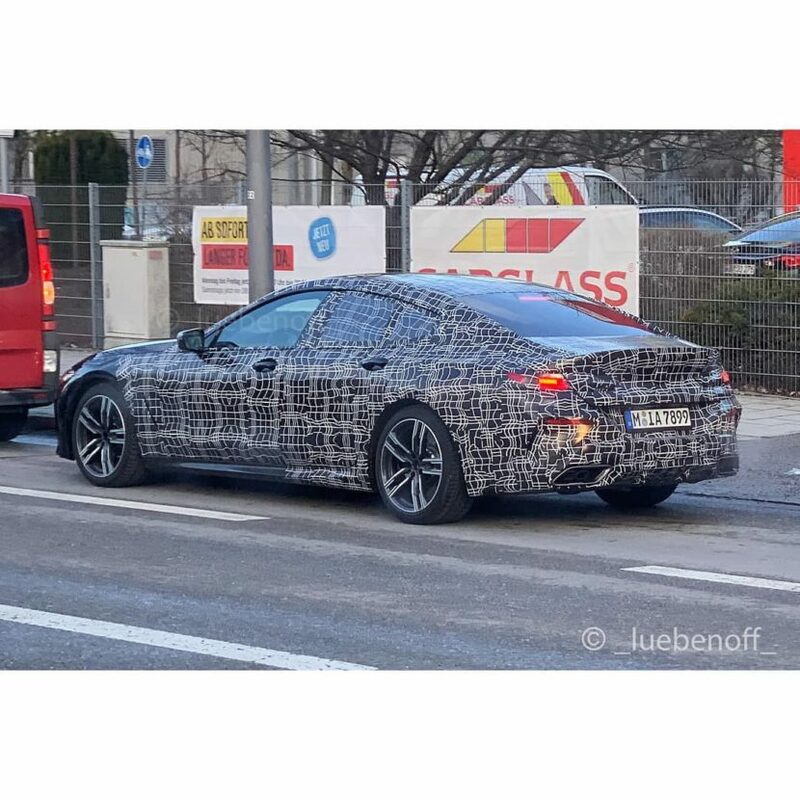 We expect to see the new 8 Series Gran Coupe in the summer 2019. Previous post SPIED: BMW X3 M caught in… an iDrive screen? Next post Could BMW use hydrogen to charge its electric cars?